They say the dead should rest in peace. Not all the dead agree. 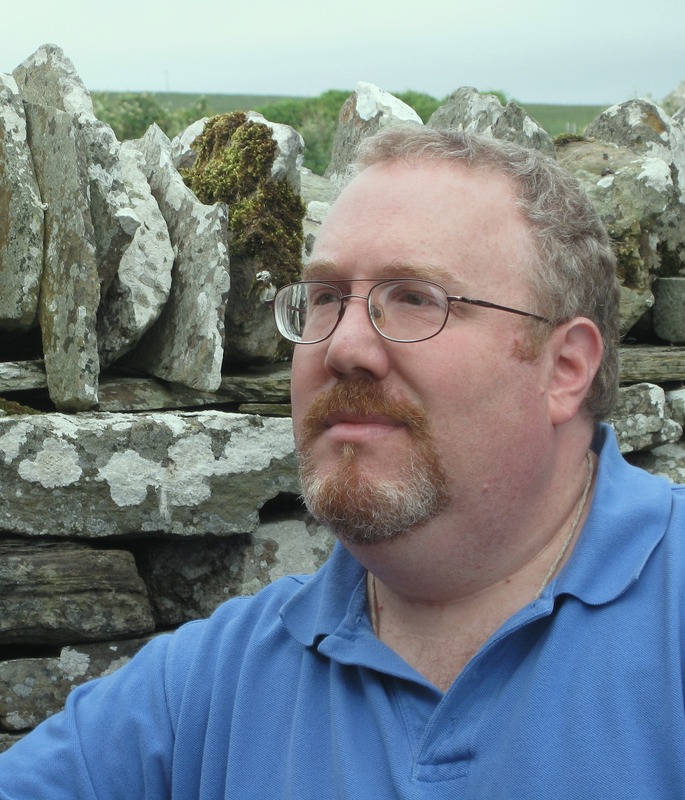 One night, Silas Umber's father Amos doesn’t come home from work. Devastated, Silas learns that his father was no mere mortician but an Undertaker, charged with bringing The Peace to the dead trapped in the Shadowlands, the states of limbo binding spirits to earth. With Amos gone, Silas and his mother have no choice but to return to Lichport, the crumbling seaside town where Silas was born, and move in with Amos’s brother, Charles. Even as Silas eagerly explores his father’s town and its many abandoned streets and overgrown cemeteries, he grows increasingly wary of his uncle. There is something not quite right going on in Charles Umber’s ornate, museum-like house—something, Silas is sure, that is connected to his father’s disappearance. When Silas’s search leads him to his father’s old office, he comes across a powerful artifact: the Death Watch, a four hundred year old Hadean clock that allows the owner to see the dead. 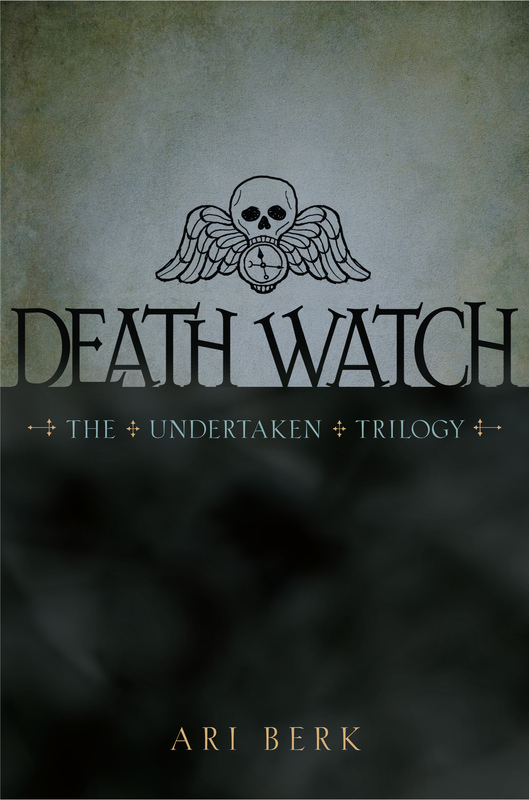 Death Watch in hand, Silas begins to unearth Lichport’s secret history—and discovers that he has taken on his father’s mantle as Lichport’s Undertaker. Now, Silas must embark on a dangerous path into the Shadowlands to embrace his destiny and discover the truth about his father—no matter the cost. HE SHOULD HAVE GONE HOME. It was after eleven, so he’d have been home already. Arguing with his wife. Lying to his son about work and the hours of his work and the kind of work he said he did back in Lichport. Amos Umber’s lies had become habitual. He would invent something about the corpse to tell his son. That’s what Silas always wanted to know. The grisly details. What happened to them? How did they die? What did it take to put all the pieces back in place? How did he treat the flesh so the family wouldn’t be reminded there was anything other than sleep waiting for them at the end of days? It was their little ritual. Father and son. Lie stitched to lie. An elaborate collection of details and variations to make the stories he told sound real, momentarily fascinating, but also common and forgettable. Corpses and coffins, chemical order forms, and a dark pin-striped suit. So many details it almost held together if no one pulled at too many threads. No matter that his son assumed that “Undertaker” meant “mortician.” No matter that in the Umber family an Undertaker was something else entirely. Amos hated lying to his son, but he had made a promise to his wife. He’d sworn not to say anything about the Undertaken, or Wanderers, or the Restless. He’d sworn not to talk to Silas about his side of the family or the family business in Lichport, where they all once lived together briefly when Silas was a baby. Most of what he told his son was a lie, but not all of it. No matter how many minute details he fabricated, he always tried to say something about the Peace. At the end of each evening’s tale, that’s what he told his son he tried to do in his work: bring peace. And at least that part, that most essential act, was true. On nights like this one, he longed to actually live inside his story-life, just doing the easy stuff: Bag ’em. Bury ’em. Arrange the flowers, line up the chairs for the visitation, hold the hands of the bereaved. But these were not part of his calling. His work began after the funeral. Or when there hadn’t been a funeral because the body was lost and rumors were making folk restless. Or because something so awful happened that folk couldn’t bring themselves to speak about it at all. As sure as a curse, secrets and silence brought them back and kept them wandering. If they couldn’t find the Peace … that’s when his dark and difficult work began. But instead of driving his car on the road over the marsh, back to Saltsbridge and the other house in the suburbs, he was walking from his office down Main Street toward the water, deeper into the old neighborhoods, and singing softly to himself as familiar houses rose up against the night sky as if to greet him. He’d never once felt at home in Saltsbridge. Lichport would always be home, and he knew it. The Morton house stood on a street of old leaning mansions above the Narrows, and it hadn’t been on his list of trouble spots. Sure, things came up unexpectedly, but not often—a quiet one might turn wakeful—but nowadays this was a rare event. That neighborhood had been peace-bound for a long time, even though the houses and the families around there were old and had troublesome pasts. Lots of the founding families had left Lichport, or died out, like the one last ancient aunt who lived with a hundred cats until someone noticed she wasn’t picking up her mail anymore. Only the families with more dignity than money still lived near the waterfront, and the Mortons were one of those, lingering quietly among their losses, generation after generation, as the whole pile continued to fall down around them. One of the remaining Morton children had written to Amos, hastily, before abandoning the house “temporarily.” And now, very suddenly, there was talk of awful visitations and unsettled business, and no one wanted to walk past the house at night, and Lonely Folk were seen wandering at noon, even in the Narrows. Three people had heard the Sorrowsman on Dogge Alley. Two had seen him. Rumors were running again in the streets of Lichport. Even before he got to the house, even without seeing it, he guessed it was a box job causing the trouble, because those were the ones that came back without warning. That’s why no one used boxes or tins anymore, even though it used to be common practice, because they almost always broke open or corroded, and when it came back it was always worse than before. The last box he’d read about in the Undertaker’s ledger was used maybe two hundred years ago. Put it in the box, seal the box, bury the box somewhere deep. Under water. Under earth. Under stone. Many of the older sources suggested sinking such containers to the bottom of the Dead Sea, though this always seemed to Amos a little impractical. But those boxes never stayed shut, and once the seal cracked it would start its long journey home one stride at a time, making a little progress every year, getting angrier and angrier along the way. And when it finally got home it would all start again, and that was a bad time for everyone. Amos had made quite a collection of boxes, keeping them away from people who might open one up out of curiosity, and occasionally, he’d try to set one right if he thought it could be done without causing any trouble. All of the houses on this street roosted high above the sidewalk and peered down over the edge of land and out to the sea. Each was approached by long stairs that rose from below, ascending to carved front doors set deep within elaborate but crumbling porches and porticoes. As he looked up at the Morton place, he could see he was expected. Curtains, usually closed, were drawn away from the windows, and candlelight played out onto the casements. When he arrived at the top of the stairs, he knocked once, firmly, on the faded door, its red paint peeling from the carved surface, and after several moments, opened it. No one greeted him. Perhaps the family had left the house for the night. This was often the case, and he never minded, because it was so much easier to be alone when he was at work. He looked back briefly over his shoulder before he entered the house to see the water out beyond the Narrows, where the moon cast a long warm shadow over the summer sea. Somewhere deep inside the house a clock began to chime. Amos turned his head back toward the open door and crossed over the threshold. As he closed the door behind him, the last chime struck. Outside, beyond the door, the moon had fled. "Ari Berk's compelling prose draws aside death's veil revealing a macabre, visceral, and utterly believable folkloric world. Eerie and poignant, Death Watch is at once chilling and full of heart." -- Brom, artist/author of the Chesley award-winning novel The Plucker.